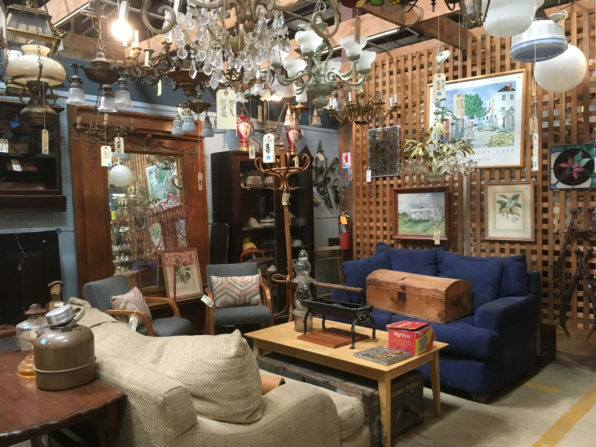 This Saturday and Sunday – August 4th and 5th, 2018 – take 25% off modern and vintage furniture, kitchen cabinet sets, architectural salvage, appliances, lighting, doors, windows, tile, flooring, bathroom fixtures, courtyard items, and more! Please note: This flash sale does not include lumber, bricks and masonry, select specialty items, items from our consignment partners, or items listed online. Items with missing or damaged price tags will not be sold. Flash sales may not be combined with other sales or promotions. Did you know that we list tons of vintage and specialty items online? In addition to treasure-hunting in the warehouse, you can search for unique hardware, appliances, furniture, and gifts in Community Forklift’s eBay, Etsy, and Chairish stores!